A new U.S. Geological Survey (USGS) report summarizes the major findings of national and regional assessments of groundwater quality in 40 Principal Aquifers in the United States. Knowledge of contaminant occurrence and the factors that control contaminant concentrations can ensure the availability and quality of this vital natural resource in the future. Principal aquifers are regionally extensive aquifers that supply most of the groundwater pumped across the Nation for drinking water, irrigation, and other uses. Approximately 80 billion gallons are pumped from these aquifers each day. Groundwater resources are used as drinking water by 130 million people in the Nation, 43 million of which use groundwater from private wells for drinking water. The USGS National Water-Quality Assessment (NAWQA) Program used more than 200 study networks, of 20 to 30 wells each, to assess groundwater quality across the United States. From 1991 to 2010, more than 6,600 wells were sampled for this comprehensive suite of water-quality constituents, including 3,700 wells sampled in the parts of aquifers used for drinking water. 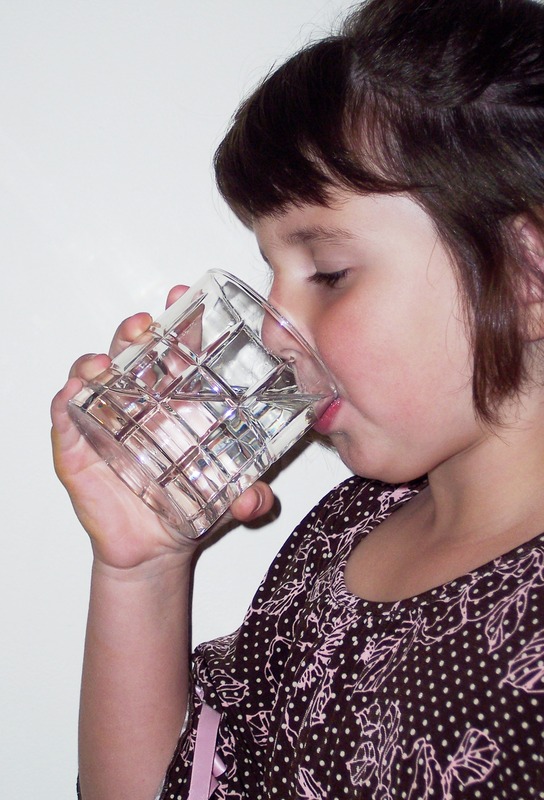 Contaminants from geologic or human-made sources were a potential human-health concern in one of every five wells sampled in the parts of aquifers used for drinking water—Most of these contaminants were from natural geologic sources, including arsenic, manganese, radon, and uranium. Nitrate was the only contaminant from human-made sources that exceeded its human-health benchmark in more than 1 percent of wells. Although groundwater is a safe, reliable source of drinking water for millions of people nationwide, high concentrations of some chemical constituents can pose potential human-health concerns. Differences in geology, hydrology, geochemistry, and chemical use explain how and why aquifer vulnerability and concentrations of contaminants vary across the Nation—Factors such as the mineral composition of aquifer materials, how groundwater moves through an aquifer, geochemical conditions like redox, and what chemicals are used and disposed of on the land surface all affect contaminant occurrence and vary among Principal Aquifers. As a consequence, different contaminants occur more—or less—frequently in some aquifers than others. Understanding how these factors act is used to predict concentrations in some aquifers, such as arsenic and nitrate in the southwest, through in-depth assessments of regional groundwater quality. Changes to groundwater flow have also altered groundwater quality—Irrigation, pumping, artificial recharge, and drainage have drastically changed how water moves through some aquifers, with consequences for water quality. Examples include the accelerated movement of contaminants from land surface into deeper parts of aquifers; increased dissolved solids in groundwater; and, in several cases, the release of contaminants from geologic sources, such as uranium, selenium, or radium, from aquifer rocks and sediments into the groundwater. Our actions today are determining groundwater quality for decades to come—In parts of some aquifers, the effects of contaminant inputs from more than 30 years ago are still apparent. Similarly, contaminant inputs and changes to water quality that are occurring today are likely to affect groundwater quality for decades into the future. This study was supported by the USGS National Water-Quality Assessment Program. 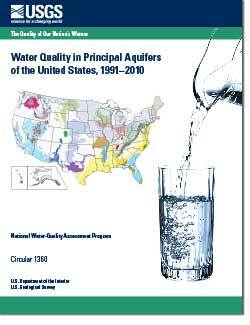 The Quality of our Nation's Waters—Water Quality in Principal Aquifers of the United States, 1991–2010: U.S. Geological Survey Circular 1360, 151 p.
Water-quality conditions in selected principal aquifers are discussed in greater detail in companion U.S. Geological Survey circulars to this report.